It isn't a common breed, I'd bet there are none in NZ, not common in USA either. I always thought they had very distinctive ears. It's the ears that have me lost totally. I just can't think of any dog with those ears! Looked up information on this breed and they sound like my kind of dog. Thank you but no! LOL two ears are just as unrecognisable to me as one! They are pretty cool little dogs. I bet they will become very popular in agility eventually, maybe when the Pyr Shep becomes too popular and people start looking for a less common small agility dog. Well done, Danielle! Look forward to your posting. I was flummoxed by the ears too, Running_dog! They seem awesome for a littlish dog! Can't believe I had not heard of them before now! 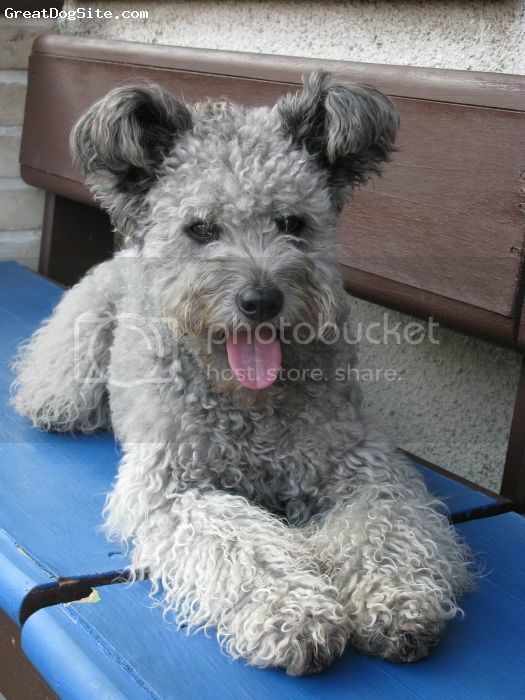 That's a really cool video comparing a Pumi to a BC. Awsome video. The Pumi is a little spark, very quick and energetic. I've never seen or heard of that breed either, just have to love those ears!!!!!! Agree, awesome video. They sure do have a lot of spark, love that type of dog! I'm surprised so few of you have heard of Pumi's. I've known about them for a while. I think I first heard of them a few years ago when watching "animal planet". I really do think they will become big in agility one day. They sure are grand little dogs!!!!!!! From watching the video I think you're 100% right, they'll become really big in agility work. Love them, happy to get to 'know' about them. Alright sorry it took so long. Here is the next one. The only other breeds I can think of at the moment are Bouvier des Floudres but I don't think they get shaved quite like that. Or Kerry Blue Terrier but the ears look too low for them.